Known as “an open mic jam session for chefs”, Dinner In The Dark successfully “rocked out” again. Sarita a Restaurant provided a contemporary yet cozy setting for guests to enjoy what the participating chefs in this event had to offer. 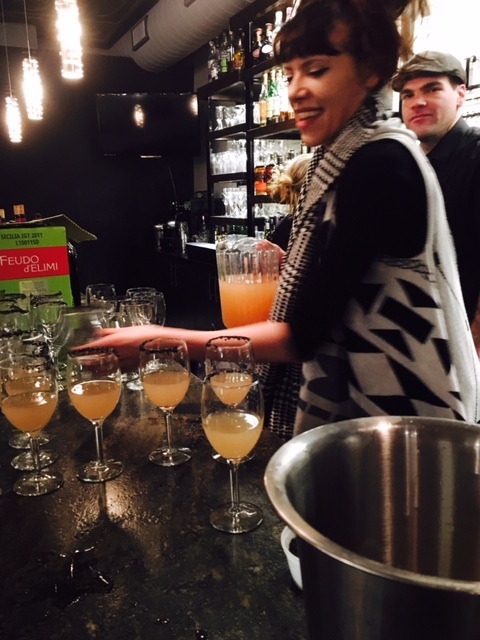 The wow-factor was implemented right at the start as the first item was a signature cocktail crafted by a local bartender, Madison Page Johnson. The drink started with a black, sea-salt rim and led you into a gin martini with tones of grapefruit and hops. 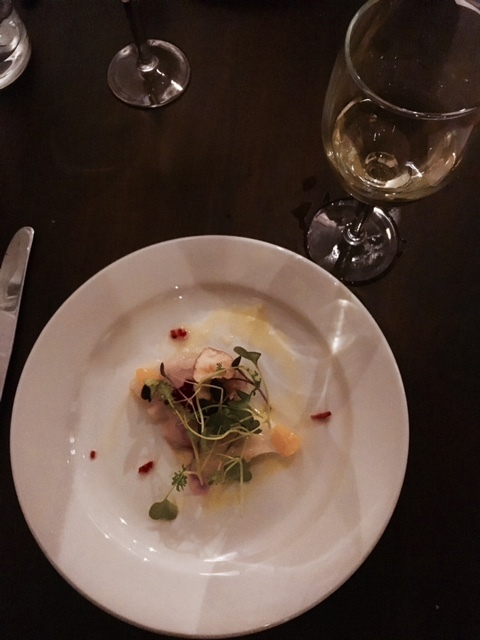 The first course, made by Danny Schutte of Cafe 55, was a beautiful scallop appetizer paired with a Viogner. 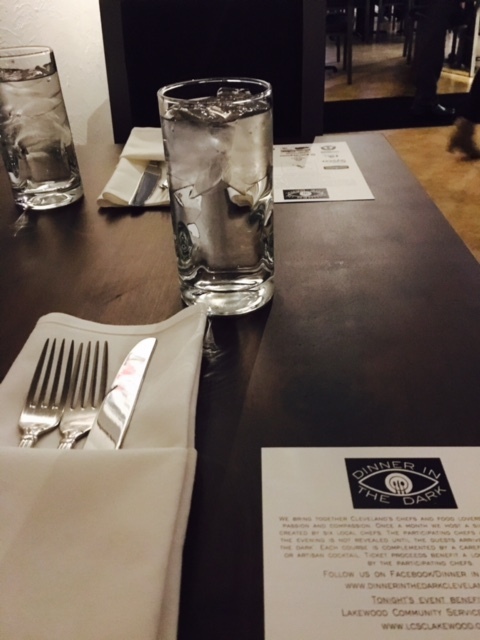 It provided a good and light start to what was going to be an amazing 6-course food venture. 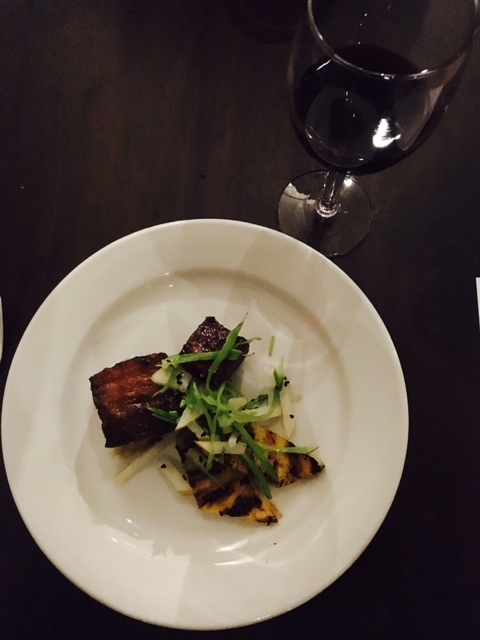 Second, Tony Ramano, considered the “host” chef being that he represented Sarita, added on a tasty and tangy, soy glazed pork belly dish. Perfectly crisp and accompanied by a sesame seed slaw with roasted pineapple. Course three was the salad course, or better yet, Ameer Petit’s take on a dinner salad. Representing Bar Cento, he pulled together a healthy dose of greens, cannellini beans, wonderfully prepared and homemade croutons and topped it with a delicious dressing. 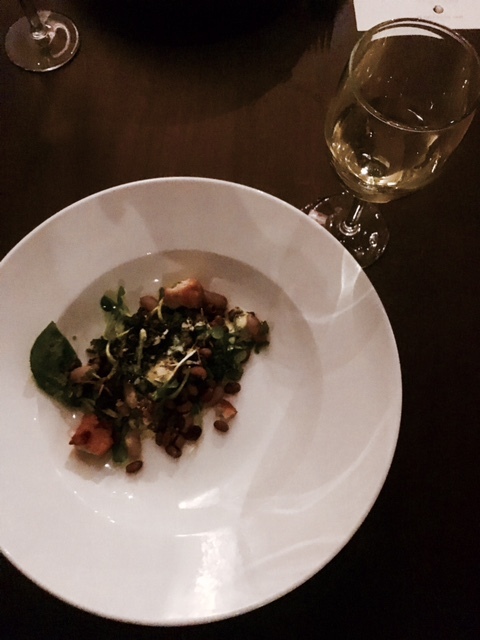 The salad was paired with a sweet riesling to cut some of the savory creating quite the burst of flavor. Next, Bridget Austria set the tone for the entree segment of the dinner event. 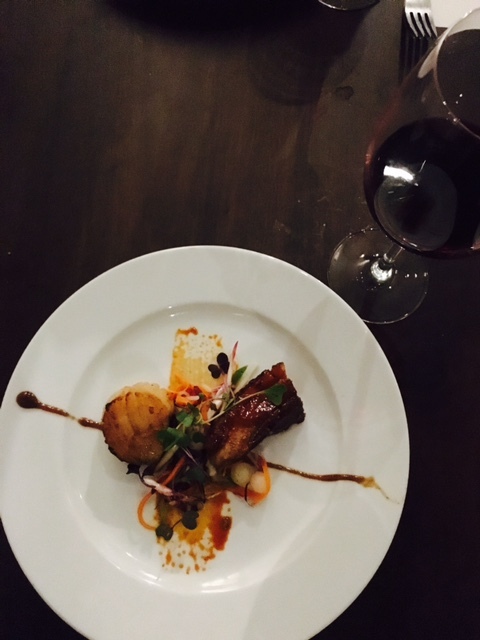 Reigning from AMP 150, she introduced us to her take on pork and this time, it was alongside a seared sea scallop and delicately drizzled with a soy reduction and a little hint of citrus. She paired it beautifully with a Michael Pozzan Russian River Pinot Noir which really complimented the savorous character of the pork on the dish. 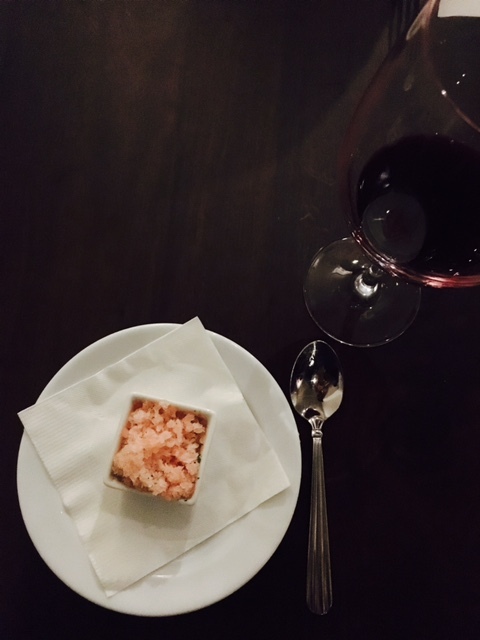 In between the entree courses, guests received a delicate portion of grapefruit & basil sorbet to prepare the palate for what was coming next. Myron Blackmon, from Sterle’s Restaurant, prepared for us an awesome duck roast, made at perfect temperature and a side of roasted cabbage with a carrot puree to garnish. This entree was last but certainly not least and paired with a Rosso wine. 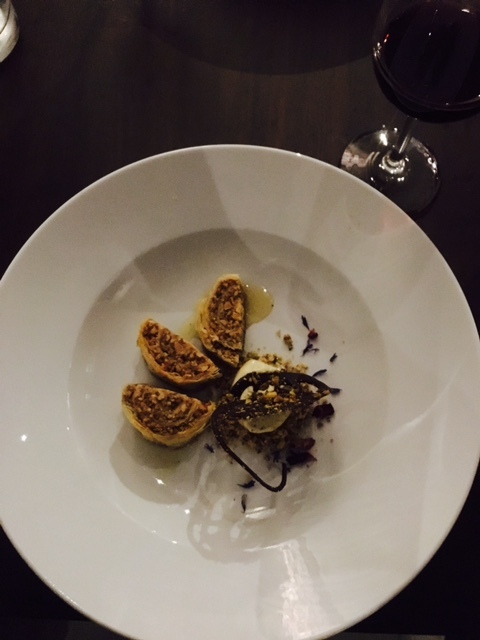 The guests finished the dinner courses off with Becca Ritterspach’s take on the infamous Baklava. You can find her at Save Room For Dessert known for creating custom and also delicious, cupcakes and cakes. 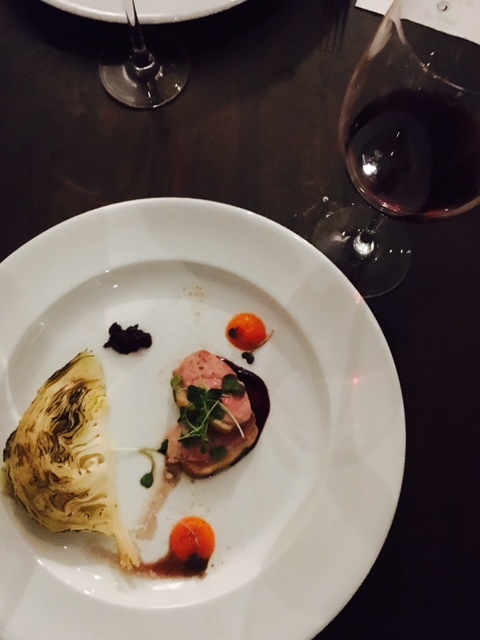 Finished off with a glass of Zinfandel, the 6-course meal event came to a close. This particular event raised $1,800 to benefit the Lakewood Community Services Center. If you weren’t able to make this event, and are interested in donating to the LCSC, click here. Catch tickets and information for the next event by visiting our “Upcoming Event” page!